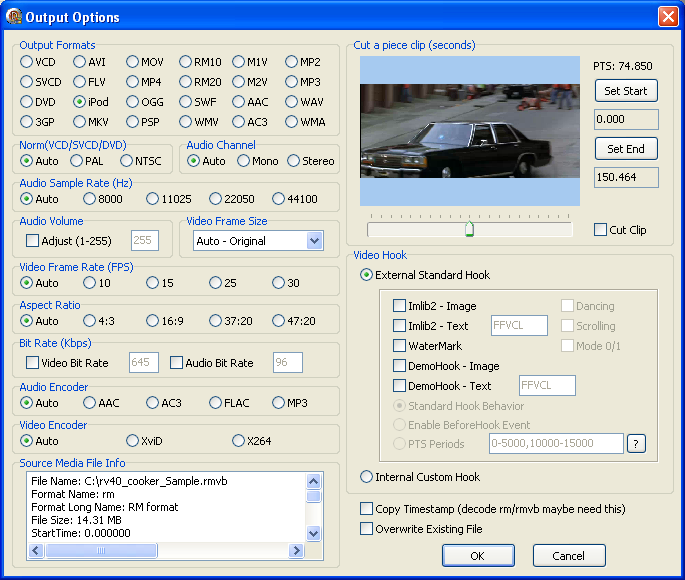 ...... solution for audio/video conversion. *Perfect wrapper of FFmpeg libraries, easy to use, flexible and powerful. *Converting multiple files in batch built in. *Task thread priority is configurable. *Pause, Resume and Stop operations are available. *Log messages event by Logger component. JNIWrapper eliminates difficulties in working with native code from Java apps. Qweas is providing links to Solid FFmpeg ActiveX Wrapper 1.5 as a courtesy, and makes no representations regarding Solid FFmpeg ActiveX Wrapper or any other applications or any information related thereto. Any questions, complaints or claims regarding this application Solid FFmpeg ActiveX Wrapper 1.5 must be directed to the appropriate software vendor. You may click the publisher link of Solid FFmpeg ActiveX Wrapper on the top of this page to get more details about the vendor.